John Jarcho, MD, is a cardiovascular medicine specialist at Brigham and Women's Hospital (BWH) in Boston, where he also completed his residency and fellowship training. He is an assistant professor of medicine at Harvard Medical School, and a Deputy Editor at the New England Journal of Medicine. Srinath Adusumalli is a fellow in the Division of Cardiovascular Medicine at the Hospital of the University of Pennsylvania. 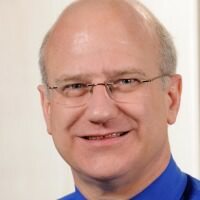 He is also a Fellow in Healthcare Improvement and Patient Safety at the University of Pennsylvania. 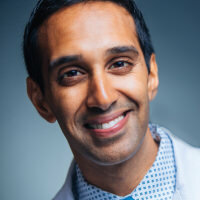 He graduated from the Medical College of Virginia and subsequently completed his internal medicine residency at the Massachusetts General Hospital. During his internal medicine training, he co-led the residency program’s quality and safety educational and operational efforts. He has continued similar work during his fellowship training and is currently spearheading fellowship program efforts to design and implement a quality and safety curriculum. His additional scholarly interests include rigorously examining the role of emerging technologies in improving the quality, value, and delivery of cardiovascular medicine. I've been on the full time faculty in the HUP Cardiovascular division since 1997, and am currently an Associate Professor of Medicine. I am currently the Associate Chief for Education, in the HUP Cardiovascular Division. My focus in this role is in managing the large and diverse educational portfolio of the CV division including running its student, resident, and fellowship training programs. I am responsible for mentoring and career development of leaders and role models in academic investigative cardiovascular medicine through our general and subspecialty training programs and am responsible for the supervision and training of approximately 45 fellows per year. I am an active clinical cardiologist, cardiovascular imager and a Fellow of the American College of Cardiology, as well as a member of the American Society of Echocardiography. My focus is in CV imaging of structural heart disease and in interventional echo guidance of percutaneous transcatheter procedures. My scholarship includes cardiac imaging and interventional guidance of percutaneous procedures, and I've served as chair of a number of society guidelines documents on the use of echocardiography in structural heart disease. In my precious spare time I run, cycle, play and record music, and see a good number of concerts per year! Dr. Karas was raised in Wilmington, DE and received her undergraduate education at the University of Pennsylvania. She received her medical degree from Weill Medical College of Cornell University in 2006. Thereafter, she stayed in New York and completed her residency in Internal Medicine and her fellowship in Cardiovascular Disease at New York-Presbyterian Hospital/Weill Medical Center. Dr. Karas has also completed training in Advanced Heart Failure and Transplant Cardiology at New York-Presbyterian Hospital/Weill Medical Center. During her residency and fellowship, she performed clinical research in the areas of stroke, echocardiography, and heart failure. She has published several abstracts and papers in peer-reviewed journals and has presented her research findings at national meetings. In 2012, Dr. Karas was awarded the American College of Cardiology Foundation/Merck Research Fellowship, during which she investigated the prognostic value of left atrial volume for the prediction of adverse cardiovascular outcomes in the Strong Heart Study. In 2013 she joined the Weill Cornell Medical College as a full-time faculty member of the Perkin Heart Failure Center with clinical interest in heart failure, pulmonary hypertension, and mechanical circulatory support. 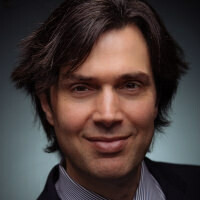 Ethan Weiss is a cardiologist specializing in general cardiology. His special interests include preventive cardiology, genetics of coronary disease, risk assessment, and heart disease in the young. In his research, Dr. Weiss uses genetic models to better understand the mechanism of metabolic disorders such as obesity, fatty liver disease, and diabetes. He also studies the blood clotting system and has interest in identifying novel ways to safely block clots associated with diseases such as heart attack and stroke without causing an increase in bleeding.